Pioneer has come a long way throughout the years in the dance music scene. With it’s Hi-Tech product line, they have revolutionized the industry standard in DJ equipment that has full-filled many venues and festivals, studios, and homes around the world. Coming this April, they are unleashing a familiar beast, only taking it to the next-level with the DDJ-SZ controller. 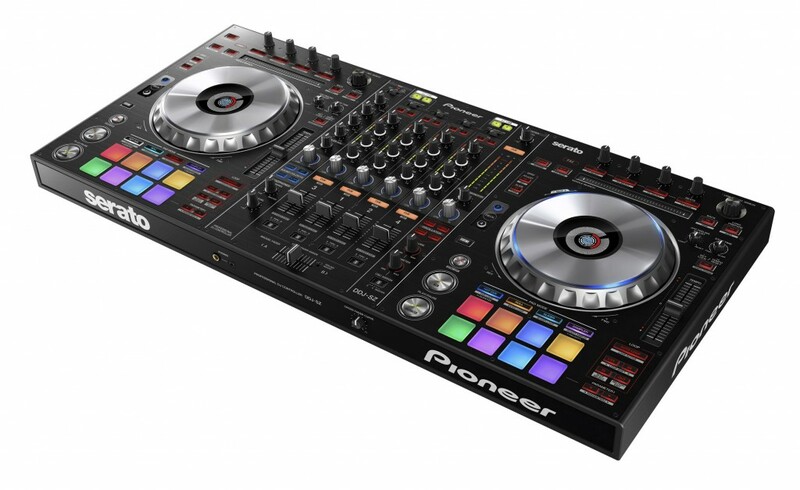 Featuring two CDJ-2000-sized jog wheels, and a full sized DJM 900 mixer feel, this larger than life version of the SX controller offers many new features that will bring a new joy into mixing, sound quality, feel, and DJ-swapping capabilities, all packed into one unit running Serato DJ. With two sound cards onboard, DJ’s can switch back and forth making transition troubles a thing of the past! It has P-Lok faders, so you won’t have to worry about missing fader knobs, and offers some new additional effects for pumping up the crowd (including an oscillator!). The same great effects and samples can be played on the freshly redesigned pad section. The super slick Magvel magnetic crossfader will guarantee smooth mixes and provide sharp cuts for a wide-range of DJ styles. Although the size is formidable, the DDJ-SZ is the flagship controller that will bring you the best Pioneer has to offer for bringing music closer to everyone, and in your own way!